The situation of Bobbi Kristina Brown continues to get more and more tragic as more and more details come to light. On Saturday, January 31, Brown was rushed to the hospital after being found unresponsive in her bathtub in conditions hauntingly similar to the way in which her mother, Whitney Houston, was found in 2012. Since then, she has been in a medically induced coma in the hospital as we wait for her to recover from her ordeal — though on Thursday the family was said to be saying their final goodbyes after doctors reported there was nothing further they could do for her. Now Max Lomas is describing the events that led to Brown's hospitalization, via a statement from his lawyer, to fill in more of the story for fans hungry to know any information they can as they keep the family in their thoughts. According to Ashleigh Merchant, Lomas' attorney, in an interview with E! 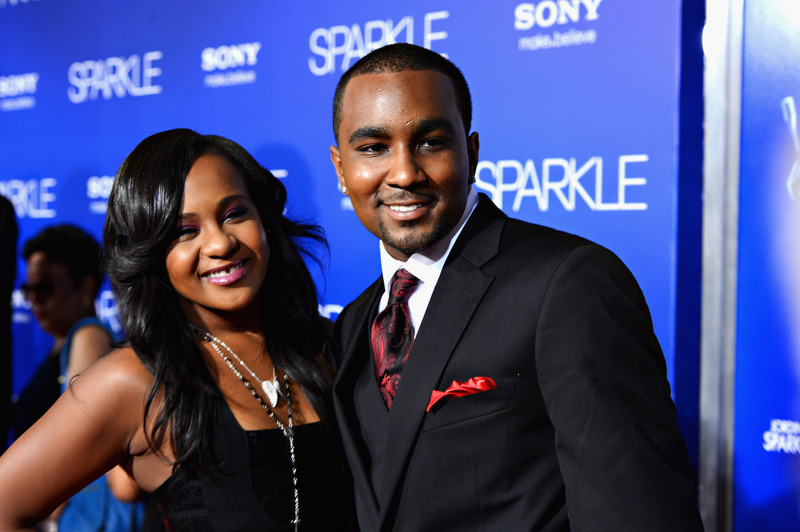 Online, it was actually Lomas who discovered Brown in the bathtub and not her longtime partner Nick Gordon. "[Nick] was actually the one who answered the door for the cable man, and he was showing the cable man around," said Merchant. "[Max] says that he knocked on her door and he didn't get an answer, so he went in and checked on her to see how she was doing. He's actually the one that found her, and he called for Nick, screamed for Nick, and then he immediately called 911." Merchant also went on to state that Brown was only alone for 10 or 15 minutes, but that they have no information as of yet as to how she ended up in the bathtub during that time. Either way, the paramedics rushed to the house after Lomas' 911 call and Brown was taken to the hospital, where she remains to the present day, fighting for her life. Of note is the fact that, according to E! Online, the police investigation the case will not confirm the presence of the cable man mentioned by Merchant — likely because that would be revealing the details of an ongoing investigation which, of course, would compromise the police's ability to follow their leads. It is our understanding that Mr. Lomas has cooperated with the authorities investigating what happened involving his dear friend, Bobbi Kristina Brown. Mr. Lomas is deeply concerned for Ms. Brown and remains hopeful for her full, complete and swift recovery. Mr. Lomas' widely reported recent arrest is completely unrelated to the incident that occurred at Ms. Brown's residence and there is absolutely no relationship between the two events. He has pleaded not guilty to those charges. Mr. Lomas has not been accused of anything in connection with Bobbi Kristina Brown's injuries and is a witness in this investigation. Mr. Lomas' main focus is on Ms. Brown's full recovery and he continues to pray for her and her entire family throughout this tragedy. Whether further details will come to light about Brown's circumstances, or this is the final word we'll have until the police close the investigation and issue a statement of their own, still remains to be seen. But for now, all we can do is keep the family in our thoughts as they deal with this difficult period in their lives.